Experience the Magic of Karate! New Karate classes for children starting at the age of 3 and for adults are now forming! 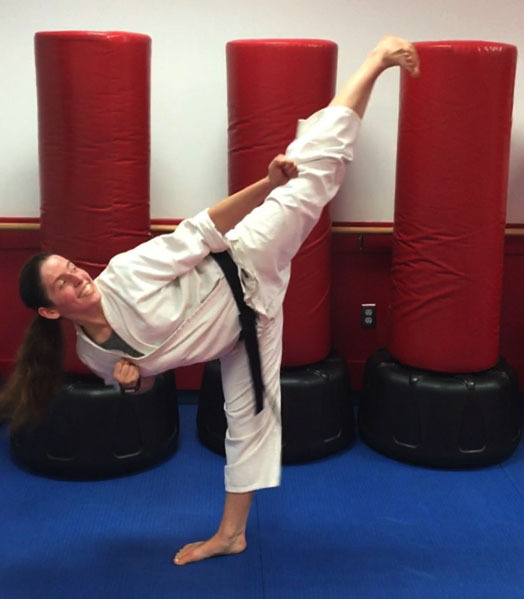 Our Karate studio is located at 9332 Georgia Avenue in Silver Spring (just inside the beltway) Call 301-585-1900 to schedule your first FREE sample lesson today! Karate is a martial arts discipline that improves the overall physical and mental well-being of children and adults alike. Victory Karate programs are specially designed to enhance physical fitness, discipline, and resilience for all participants. Our classes will help your child gain confidence, discipline, and other life skills in an EXCITING, safe environment. Our caring instructors will work with you to identify and accomplish the goals of all family members. Our youngest karate students are usually apprehensive at first. Many students at this age have never received instruction from anyone other than parents so it may take a couple of visits before they feel comfortable enough to participate. Victory Karate separates classes in order to meet the specific needs of each age group. Our 5 to 7-year-old Tiny Tigers Karate students are early elementary students who gain the discipline to perform well in school and behave properly at home. Our children’s class is where kids are groomed to become martial artists. You will be amazed at how much your child can accomplish in our karate classes. Our teen and adult classes feature a mixture of flexibility and physical fitness exercises as well as technical martial arts training. Victory Karate offers “Kick Fit” aerobics classes, Tai Chi and yoga classes that adults love. We also host birthday parties. Please call 301-585-1900 for more information about our classes or to plan your next event. Victory Karate is Open Today, January 14th, 2019. Victory Karate in Silver Spring, Maryland is one of the few martial arts schools that teaches sparring as part of the curriculum for kids and adults. Why do we emphasize sparring and what is the secret to our success? First, concerns over sparring are very common. Our fears range from concerns about getting hit or hurting our opponent. As a parent, we might be anxious about the wellbeing of our child. We also don’t want our kids to learn to be aggressive. Victory Karate helps kids and adults work through these fears by engaging students in sparring drills in a SAFE, constructive format. We emphasize light contact with kicks and punches only going to the body. We also emphasize footwork, strategy, and simply getting a feeling for the sport. Our sparring sessions are taught by national champions who have years of experience sparring and teaching sparring techniques. Our instructors make our sparring sessions a truly unique environment. So why do we emphasize sparring, when so many other schools shy away from it. Simply put, we are teaching martial arts, primarily karate and Taekwondo. Kids and adults become stronger physically and less fearful from our classes. They also develop a bond with each other very quickly as they learn how to spar. Techniques such as keeping your guard up, staying sideways, defensive side kicks to keep your opponent away, bouncing, etc. help develop a martial artist. A student also learns to defend him/herself through sparring. Finally, sparring is a lot of fun and a great cardio vascular workout. Come out to Victory Karate and try our classes to learn sparring in a safe environment. Why Do We Learn Forms? Forms, or kata in Japanese, are a simulated, sequence of moves designed to develop the basic martial arts movements. Forms help students work on the key stances (e.g. front, back, and horse stance) and blocks (e.g. low, high and middle block). Perhaps, most importantly forms are synchronized patterns of movement that are done in a group setting, building teamwork and comradery. When one is first introduced to a form, it seems that the movements are very hard to remember. Learning the moves can be frustrating, but it trains the mind as well as the body in certain movements that are used throughout karate. As you learn more forms, you will notice similar patterns allowing a martial artist to pick up new forms very quickly. There are many benefits to learning forms. First, and foremost, they help martial artists learn the basics and build muscle memory as well as focus. They also enable students to track their progression as forms take on various levels of difficulty. As a student works up through the belt system, he will learn and conquer increasingly more difficult forms. Finally, when done with vigor, forms can be an excellent form of exercise. As you prepare for your belt test, recognize that the form you are learning is just one in a sequence of forms that you will be mastering over the course of your martial arts career.